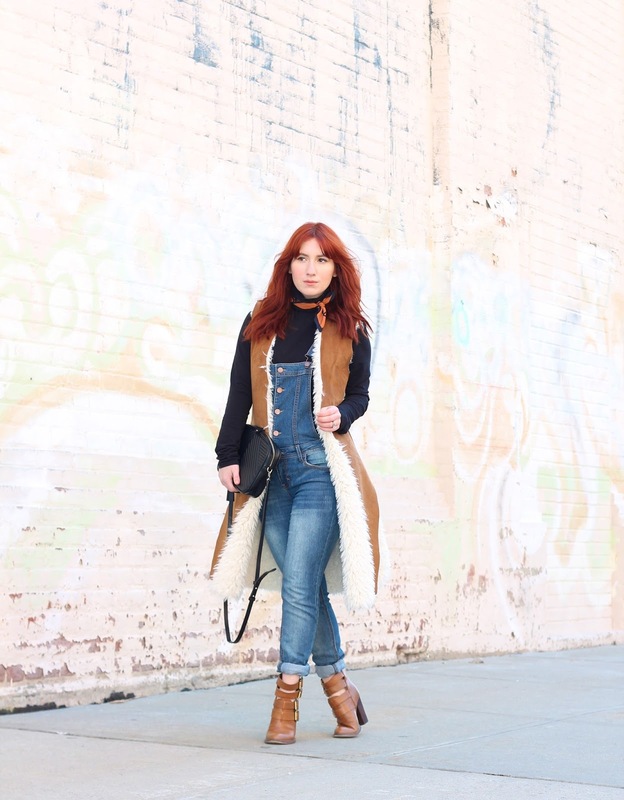 Last week, we ended out the week in a pair of slouchy overalls to get the weekend started but this week I went a slightly different, slightly the same route. 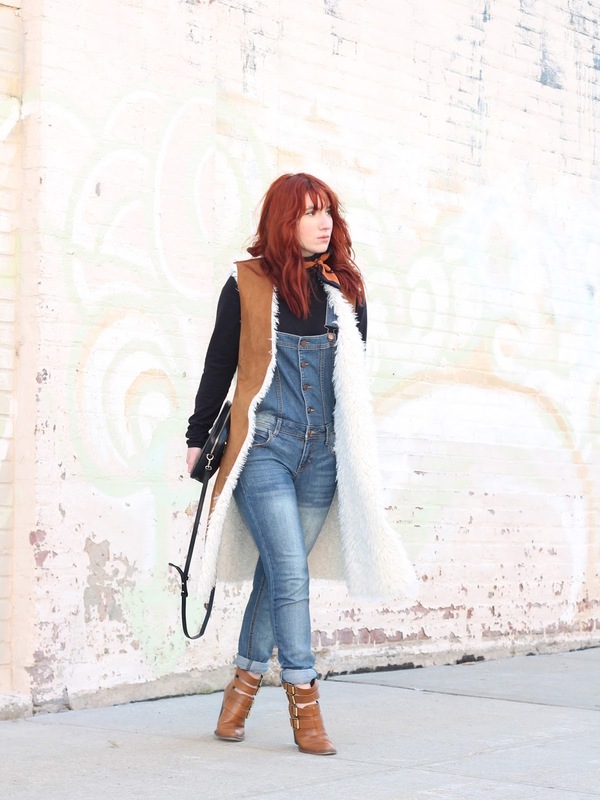 I keep up with the overalls theme and added a few layers, including one you already saw this week paired with my favorite Free People dress. 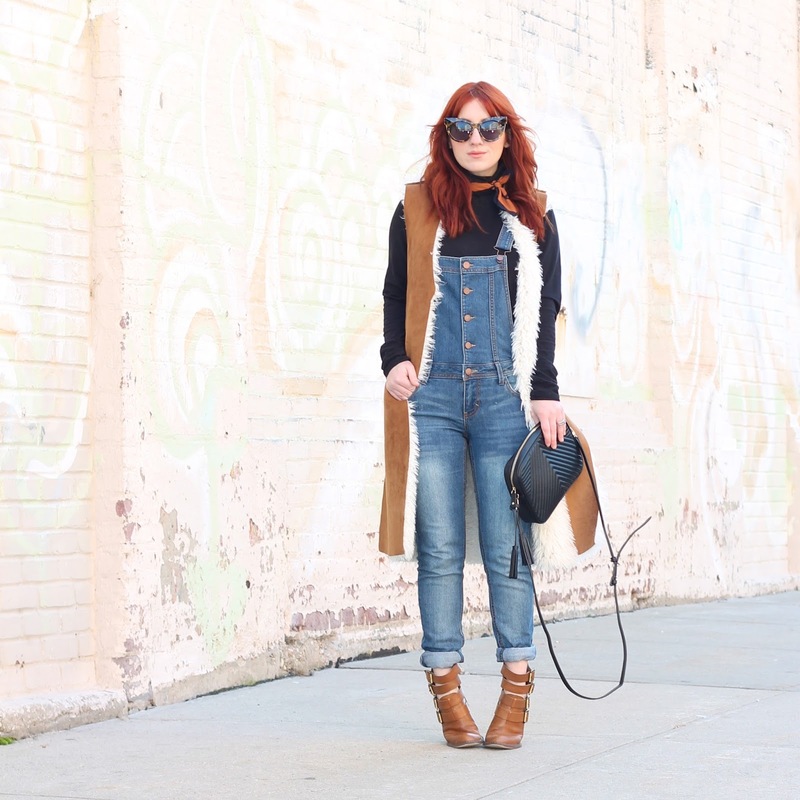 This time around I opted for a more fitted version with my vintage scarf, crossbody and statement sunglasses. Ps. I'm seriously obsessed with these sunnies and never want to get them back - just in case you haven't heard of Ditto, they're a monthly sunglass subscription service where you can try out designer sunglasses for a fraction of what you'd pay for them - wear them, send them back and get a new pair to try. 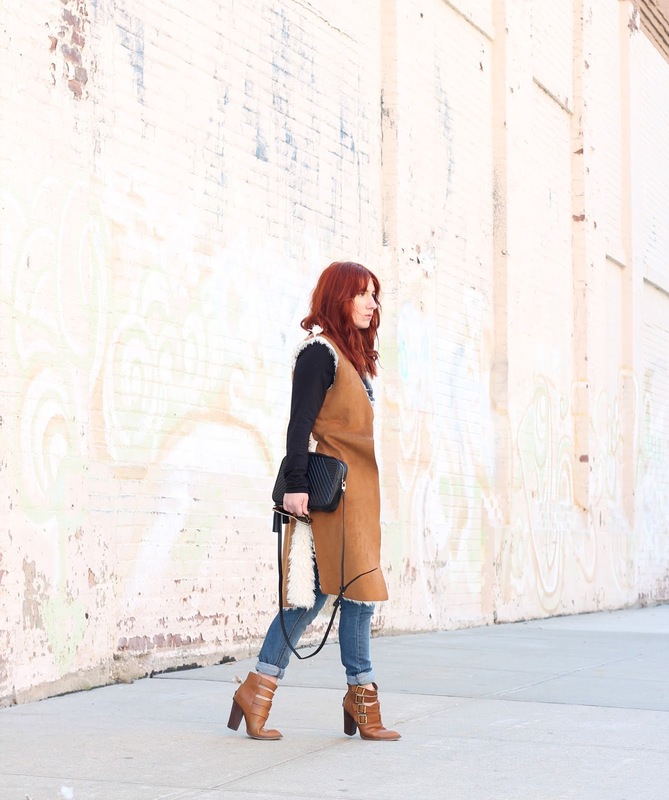 Get a month free with promo code "TfDiaries". 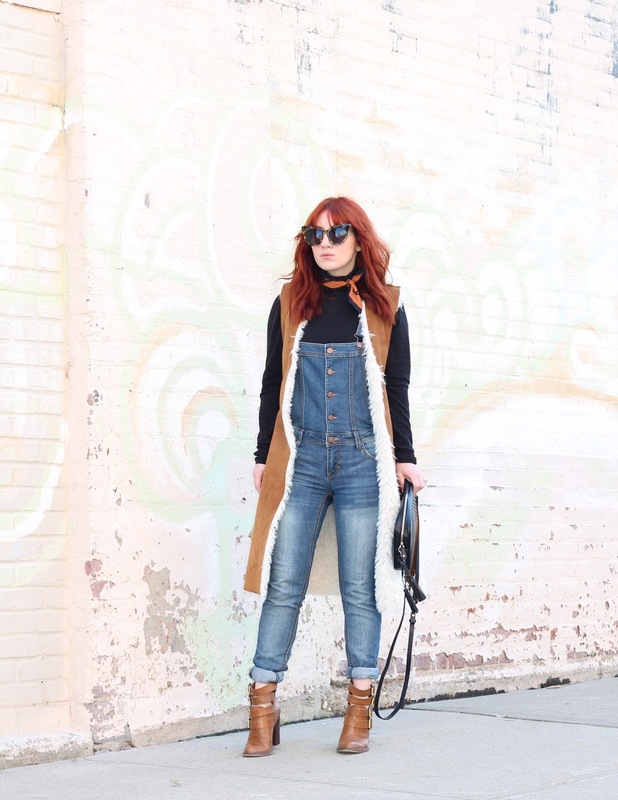 Vest & Overalls Marshalls, Turtleneck Peruvian Connection, Bag H.Butler, Boots Chinese Laundry, Scarf Vintage, Sunglasses Karen Walker via ShopDitto - Free Month with promo code "TfDiaries"